Welcome to 'The Vic', or if you are not that familiar with London casinos yet: The Grosvenor Victoria Casino. Just off Edgware Road, close to Hyde Park and the Paddington Train Station, we find yet another exciting casino experience. This is a casino that never rests - with opening hours being 24 hours a day, seven days a week. With a modern interior, fit for any London casino, The Vic offers a wide variety of games and combines it with some great dining and drinking. As a part of the Grosvenor group it has a certain style to it that fits well with the overall profile of the company. However, it does go a bit above and beyond in order to seem a bit more exclusive than your average corner casino. One thing well worth noting is that you need to register at the casino in order to play. Thankfully this is free of charge and it is possible to do online - something which massively speeds up your first visit. Just do not forget to bring a valid ID when you visit even if you have registered online. With a bunch of so-called "Super Casinos" popping up around the UK it might be hard for some of the more central ones to keep up. Thankfully The Vic is so far ahead of your average casino in terms of what it can offer gamblers that it will not see many customers leave its grounds displeased. The gambling floor is spread out across two floors, with the main focus being on the downstairs bit. 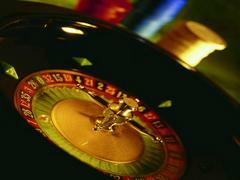 Here you will find a huge variety of classic casino games combined with some more modern takes and electronic games. With 13 American Roulette tables dominating the floor it is easy to understand what the most popular game around The Vic is. These tables are joined by a further 11 Blackjack tables, a single Super Stud Poker table, two Three Card Poker tables, a dice table as well as a table for James Bond's favourite game - Punto Banco. If you feel like playing the slots or an electronic version of Roulette you will not be disappointed. With a staggering 63 Electronic Roulette machines and 20 Jackpot Slots there are more than enough games to go around for the visitors at this top UK casino. But it does not stop here - walk over to the dedicated Poker Room and find a bunch of ongoing cash games that you can sit in on as well. At The Grosvenor Victoria Casino the restaurant is suitably called "The Dining Room". With a décor fitting any stylish restaurant, diners can have a nice overview of the ongoing gambling while the enjoy meals inspired by Southern Europe and the Middle East. In 2012 the restaurant won the award as the Best Poker Room restaurant at the British Poker Awards. This alone shows the class and level of food that is offered at this venue. Some gamblers might not feel that they have the time for a full dinner or they might just be after a lighter snack. This is when you should visit the casino bar - an excellent place to top up or cool down after a long gambling session. Alongside the endless amounts of snacks and small dishes we find an extensive offering of drinks. Wine, beers, spirits and cocktails are served throughout the day and the bar really adds an extra dimension to the whole establishment. Few casinos in the London area can go punch for punch with The Vic when it comes to the amount of promotions and tournaments going on. Every day you will find at least one Poker tournament being played - and it is not uncommon to have at least two tournaments a day. They usually kick off around 19:45 and buy-ins start at roughly £30. It is worth noting that sign-up ends 15 minutes before the tournaments start and rebuys vary from tournament to tournament. One of our favourite events - at any casino - is a Learn to Play event. At The Vic you can go down on the last Wednesday of every month and get a taster of the different games that they have to offer. This is a brilliant event and it really helps the more inexperienced gambler to get started and could save you a lot of money in the long run if you are going to be serious about your gambling. Corporate events and rentals are welcome as well - with more information available on the casino's website. Why The Grosvenor Victoria Casino? It is hard to find a complete casino experience in London - and we are not saying that this is it - but it might be as close as you will get without having to pay a fortune for a membership. The Vic has an almost unrivalled amount of games available and combining this with the great dining experience, the bar and the events going on it is hard to argue against going here. With such a good location in downtown London, easy access via public transport and car, this is a place where you can come for just a few hands or maybe even make it a whole evening with some of your closest friends. We like how they have put an emphasis on helping beginners with the basics of games (Learn to Play) and with regular tournaments there is never really a dull moment when you visit this casino.